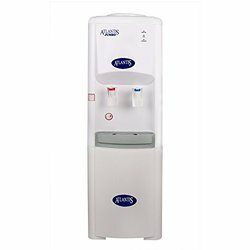 Pioneers in the industry, we offer atlantis jumbo floor standing normal & cold water dispenser and atlantis jumbo hot and cold water dispenser from India. No more waiting for refreshing, chilled water in the summer heat. The atlantis Jumbo continuously cools 10 litres per hour as well as comes equipped with an adequately large 8 Lts. storage tank as well.